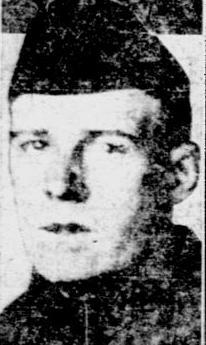 Patrolman Joseph Riley was killed in an automobile accident in which a fireman and a civilian were also killed on the Bloomfield Bridge. Patrolman Riley was a U.S. Army veteran of WWI and had served with the Pittsburgh Police Department for five years. He was survived by his parents. On today, the 91st anniversary of your death I would just like to say thank you for your service and sacrifice-not just for your Community but for our Country as well when you served in the U.S. Army during WW I.